Young Guns was founded in 2004 by brothers Scott and Trent Young. 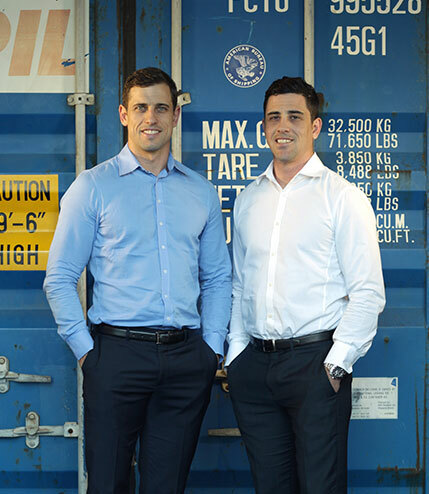 At the time, they were chasing a dream of playing rugby league whilst juggling engineering studies at university and a casual job of unpacking shipping containers. The most unlikely opportunity arose when the brothers were asked to do a job that required them to employ a couple of extra guys from the football club and it was here that Young Guns was born. Day-in and day-out, the brothers worked alongside their employees in warehouses. They worked hard, learning the business of people and the industry. Young Guns was getting a reputation for the service they were delivering. They opened an office in Brisbane (HQ), expanded into Melbourne, Sydney and then Perth. One decade on, Trent and Scott have expanded into four states with over 400 members in the team. The business growth meant the jobs and opportunities for young people expanded. Young Guns transformed a typically unskilled, unreliable and highly transient work force into a highly engaged team of professionals delivering a service that not only packed and unpacked shipping containers but also drove improvements into the Supply Chain. Today, Young Guns’ power is in its people. The national business provides an accountable team of professionals to manage the container inbound/outbound area for customers and consistently challenge ‘best practice’. Young Guns is committed to providing opportunities for its people and its customers. Sign up for our newsletter to get the latest news & updates.